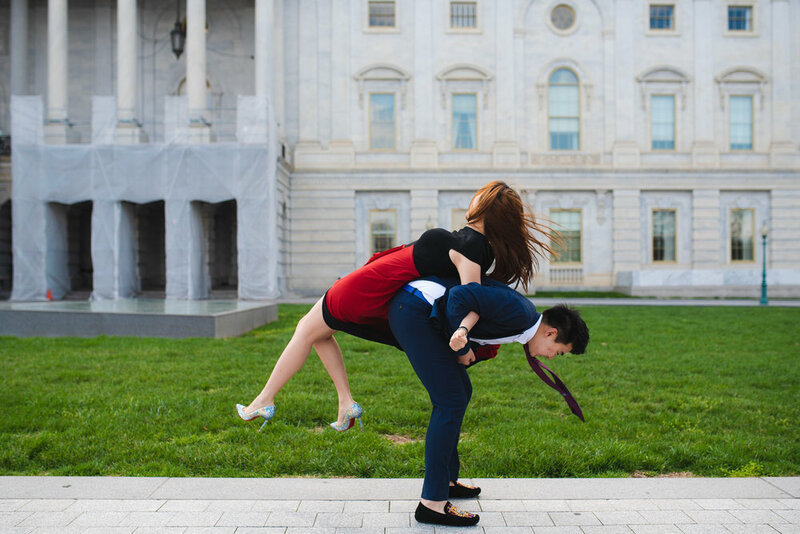 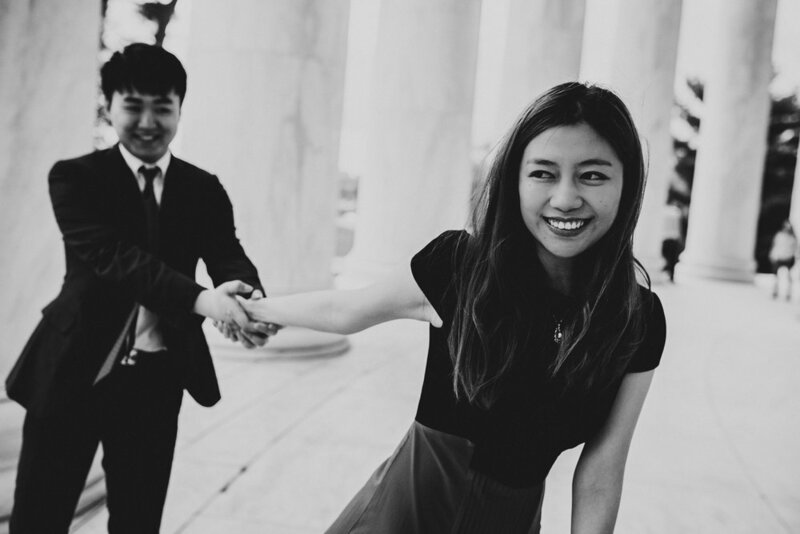 All this engagement session was super fun and definitely extraordinary:) We've visited three famous locations: Thomas Jefferson Memorial, United States Capitol and Chinatown. 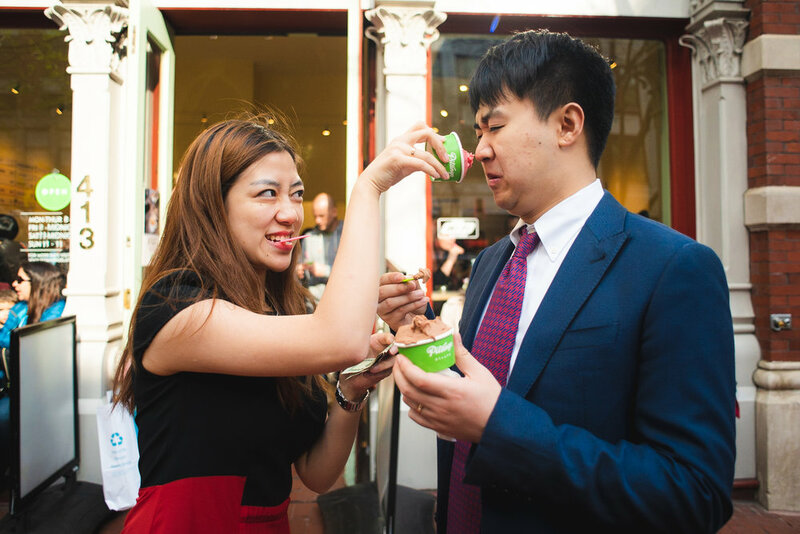 I think life should become much more fun when you find your perfect match. 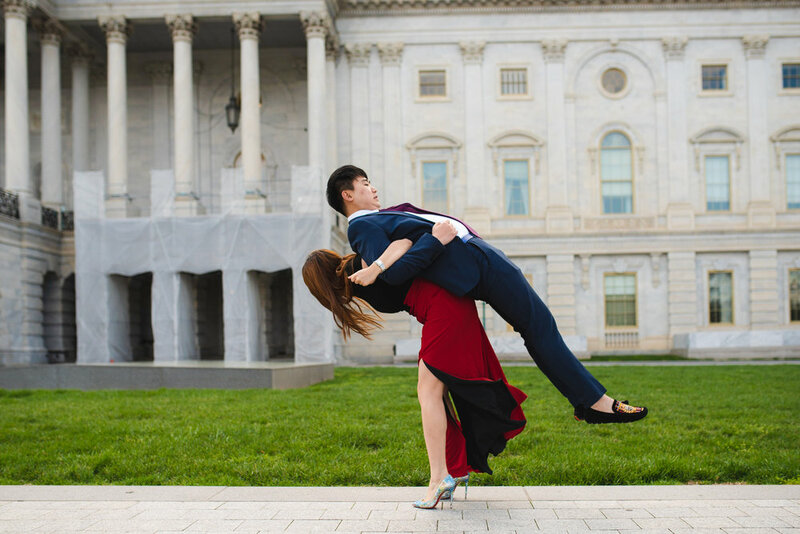 This fun-loving couple is the true example of such a connection. 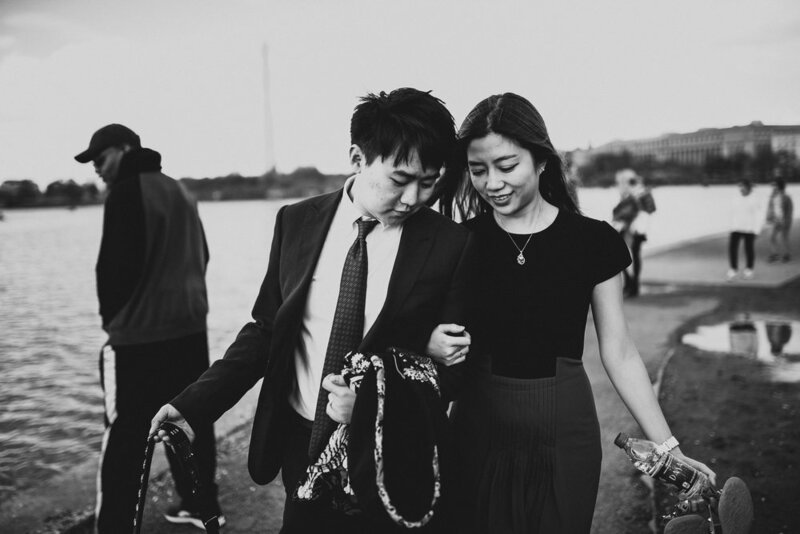 All engagement session with M + L was full of joy and laughter!